Keeping your kids occupied at home can be a challenge, despite the fact they are surrounded by their own playthings. Most have an indoor space, and maybe even a yard, in which to play. They are usually surrounded by hoards of neighborhood friends and are seen less and less by parents as they grow older. The dilemma encountered by many parents is when the time for a family vacation rolls around. 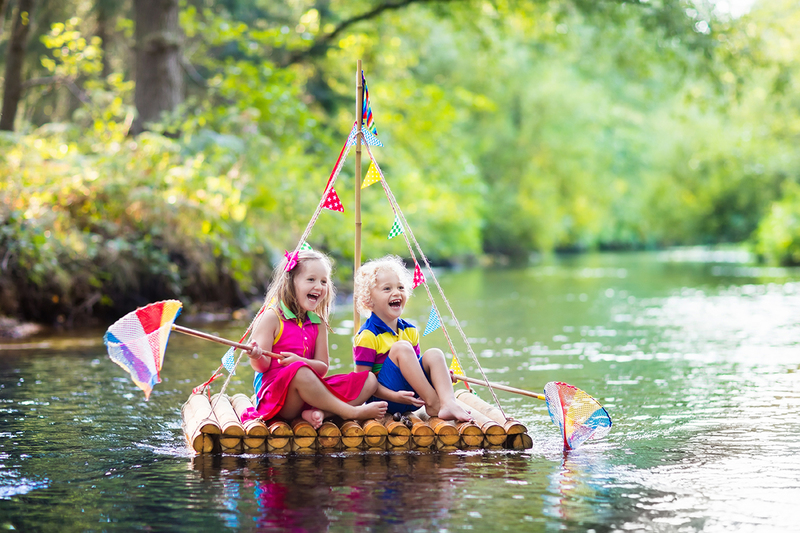 What will you do to keep the kids entertained on your next camping trip? Luckily, websites such as Pinterest are ripe with ideas fun activities that can be enjoyed by the whole family all year long. There’s no reason the kids can’t help with some of the chores around your RV campground site. Just find an age-appropriate task for each child, crank up some music, and teach them to whistle while they work. Not only will this instill some responsibility in each of them, but it will also show them that teamwork lessens the load for everyone and allows the fun to begin. Likewise, preparing meals, especially while camping, can be a fun and educational experience for the children in your life. Perhaps you’ve gone fishing and wish to cook it up for your dinner. This is one moment when your children may seem squeamish, but learning to fish, preparing it, and consuming the fruit of their labors are sure to make them feel proud of themselves. As midday temperatures begin to rise, your family want to find an activity that will keep you all cool as well as entertained. Swimming, fishing, and hunting insects are all well and good, but can easily become tiresome if you don’t throw in a little competition. For example, splitting your party into teams and initiating a raft-building contest will take up much of the day after which you can race to see who’s created the best vessel. Even the grandparents can get involved whether they are actively helping with the creations, judging them, or refereeing the races. A tried and true outdoor game that every child should be involved with at least once is a great game of capture the flag. Usually, this land-based competition is limited to available space, but the addition of a lake can add a whole new dimension. You may choose to plant the flags in places where they are separated by water, meaning teams will need to swim, canoe, or raft their way across in order to get the prize. The level of exercise this game entails will not only keep the kids entertained for hours, but will also help them sleep better that night, too. When on vacation, early mornings and post-dinner evenings may prompt you to try and keep the kids quiet. This is especially true for those occupying space in an RV campground. Simply enough, the close quarters call for a little respect for your neighbors as you have no idea when they would prefer to sleep peacefully. 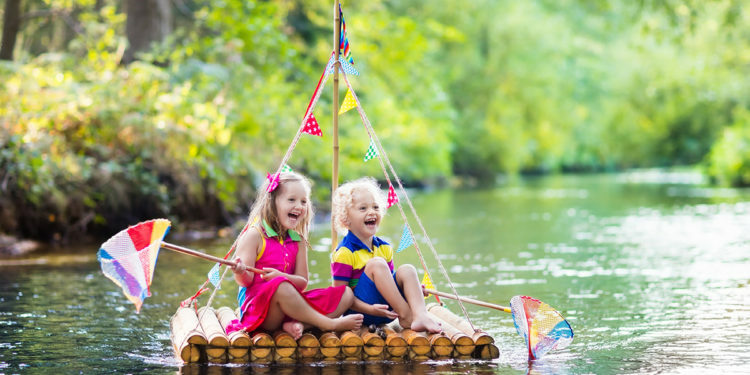 A deck of cards, the kids’ favorite board games, or small crafting projects make it easy to keep the noise levels down while also having some fun. The best part of many of these games is the fact that they are often small, compact, and ideally packaged for easy packing and transport. Avoiding the vacation blues is a cinch with a little help from some preplanned activities and even some that have not been planned ahead of time. 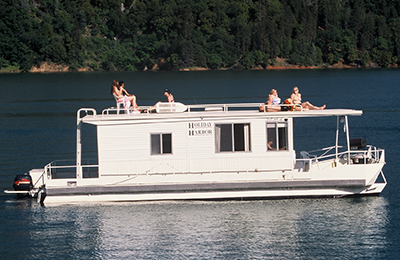 Lakeside RV campgrounds make it easy to keep the kids occupied, meaning the parents can actually get some of the rest and relaxation for which they were hoping.